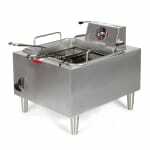 The Star 301HLF countertop electric fryer has a 15-pound oil capacity. A removable kettle comes with the unit to support oil and fat removal, and for fast cleanup, the heating elements swing upwards. With a temperature range of 200 to 375 degrees Fahrenheit, this unit can be used for a variety of products. Its heating elements are designed to evenly distribute heat throughout the oil so that products are evenly cooked. To prevent fires, a high-limit safety thermostat shuts the unit down if temperatures get too high. Featuring a responsive temperature control, the snap-action thermostat reduces recovery time. Its knobs are heavy duty, so they can withstand repeated use. The Star 301HLF countertop electric fryer is constructed of stainless steel to endure heavy use and resist rusting. Two baskets come with the unit, enabling two batches to be fried at once. This unit is small enough to fit on a countertop. 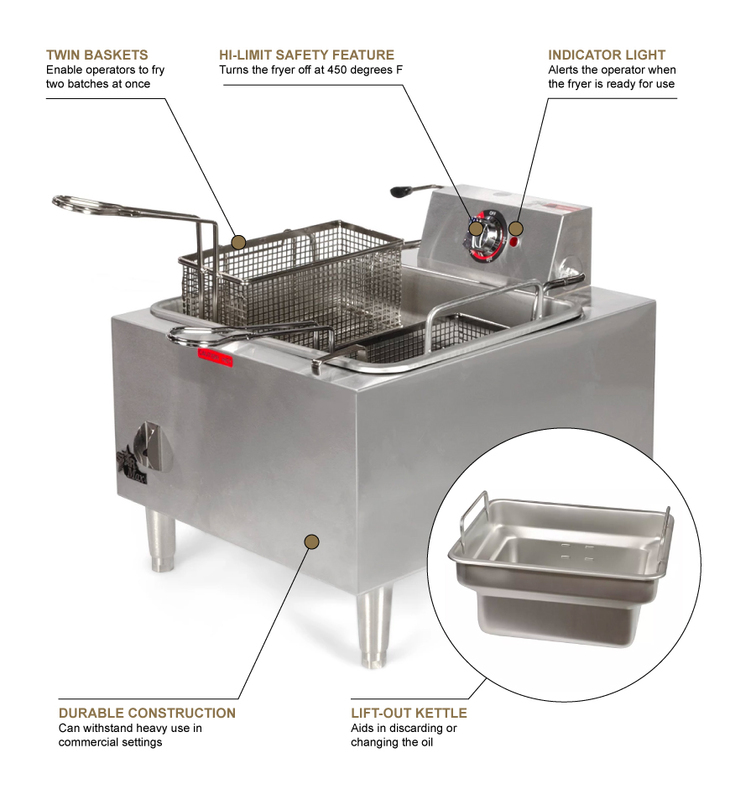 For more information on countertop fryers, check out the countertop fryer buyers' guide. "We use this in our restaurant. We don't fry a whole lot, but we do serve about 100 guests per shift. It has held up well." "Very happy with the delivery and the product." "We had this same model for many years. When it finally played out we purchased a new one and we love it. I have already recommended it to many of..."
"We had this same model for many years. When it finally played out we purchased a new one and we love it. I have already recommended it to many of my friends."